Jenni "JWoww" Farley and Roger Mathews are celebrating their three-year wedding anniversary amid their divorce. 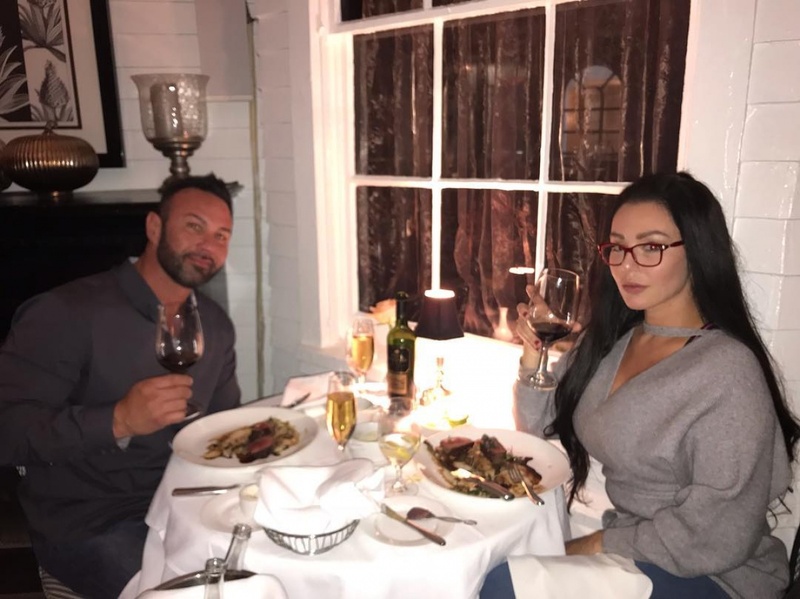 The estranged couple reunited for a romantic outing Saturday, two weeks after the "Jersey Shore" star filed to end their marriage. Mathews shared a photo on Instagram of himself and Farley enjoying dinner and champagne. The pair's wedding anniversary officially falls on Thursday, Oct. 18. "Rome wasn't built in a day," Mathews captioned the post. Mathews also posted a video of himself surprising Farley with a horse-drawn carriage ride and a bouquet of flowers. "Your chariot awaits," he tells Farley in the clip. "Happy anniversary." Farley and Mathews previously reunited for a family outing with their 4-year-old daughter, Meilana Alexandra. Mathews had vowed to win Farley back after the "Jersey Shore" star filed for divorce in September. "I'm not done fighting," Mathews said on Instagram. "I'm gonna win my wife back. I'm gonna win her affection back. I'm gonna win her love back." "We're in counseling, so there is hope," he told fans. "It ain't over till the fat lady sings." Mathews and Farley are also parents to 2-year-old son Greyson Valor. Farley came to fame on the MTV series "Jersey Shore" and recently returned in "Jersey Shore Family Vacation."